It is hard to believe that we are already at the end of Term 1. It has been very successful term with our fantastic learners working hard each and every day. I would like to thank all teachers and staff for their tremendous efforts in achieving a successful term filled with so many activities which have enriched the lives of the children of South Coogee PS. I wish you a well-earned break and I look forward to seeing you on Tuesday 30th April when we return for Term 2. I want to take this opportunity to wish Ms Kaylie Johnson and her partner Ben the best of luck for their new life as parents. We will be sure to share the baby news when the time comes. We had an amazing turn out to our Grandparents’ and Special friends’ day events. We know that our students loved having our special visitors to their classrooms and sharing treats during the recess break. 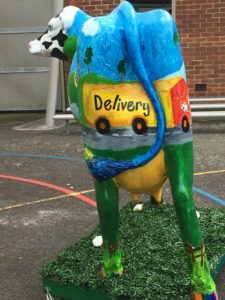 A big thank you to Mrs Monkhouse for organising the event and thank you to the P&C for putting together such an impressive morning tea stall and serving each of our visitors with a welcoming smile. Our annual Easter Hat Parade took place today in our Infants’ Quadrangle. Thank you to our families for taking the time to make the incredible Easter Hats with your children. They all looked fantastic and our learners seemed to enjoy parading their creations for our community. The Easter Raffle was also a big success. Thank you to our wonderful P&C for organising the 30 hampers. Finally a huge thank you to Mrs Doran and Mrs Mojanovski for organising this fantastic annual community event. On Wednesday 1st May 2019, the school will hold our annual ANZAC Day Assembly at 10:00am in the hall. Our learners will listen to some of the main messages about living in peace, and the importance of remembering those who have fallen in battle. Parents are most welcome to join us for the service. On Monday April 29th all staff will be involved in professional development, Visible Learning for Literacy, This workshop supports schools to accelerate student learning across the curriculum with high-impact literacy approaches. 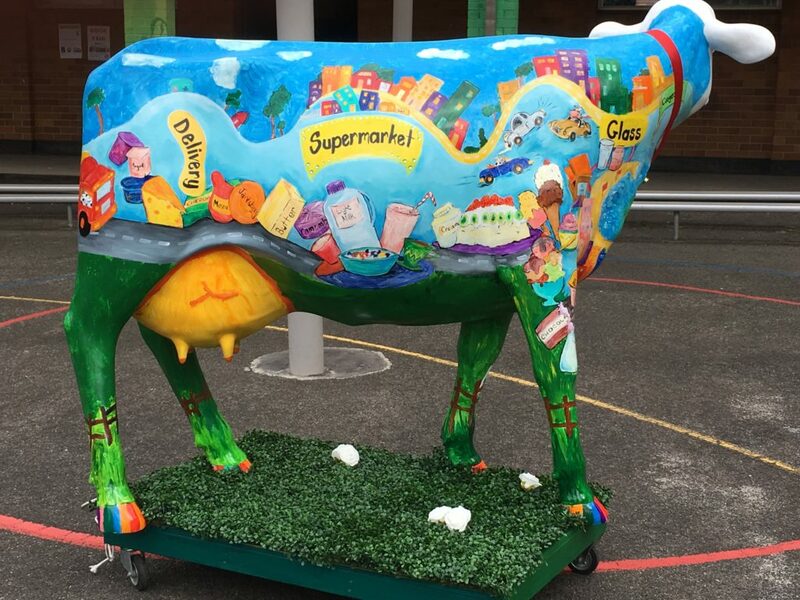 Finally, I thought I would leave with you with some fabulous shots of our Picasso Cow – Madam Milkalot. 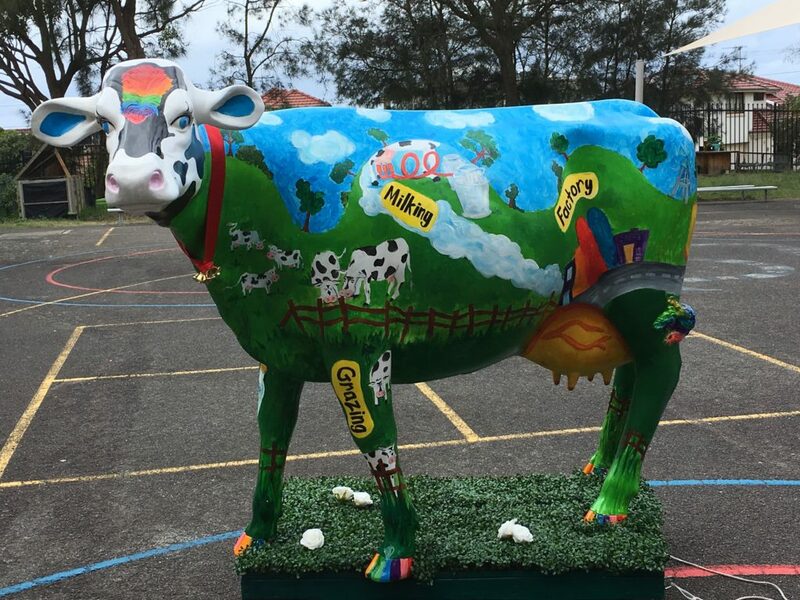 Mrs Stathis has been working with a team of students from Stage 3 to design and paint this fabulous creature. 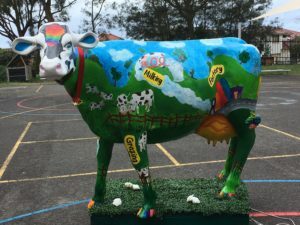 We can’t wait until she is placed back in our garden next term. Have a safe and happy holiday and we look forward to seeing everyone for another productive term.